The link between anti-semitism and anti-Israel attitudes has been long debated and hotly contested. To some the connection is self-evident. Seeking to demonise and delegitimise Israel, to question the right to exist of the world’s only Jewish state to exist and to deny the Jews’ right to self-determination is the very essence of “modern anti-semitism”. Others view the very notion of anti-Zionist anti-semitism as inherently suspect. Its critics propagate what David Hirsh of Goldsmiths College, University of London, has christened the “Livingstone formulation”: the suggestion that Jews disingenuously “play the anti-semitism card” to stifle criticism of Israel. A major study of public attitudes towards Jews and Israel published today examines for the first time in Britain the relationship between anti-semitism and anti-Israel attitudes. Commissioned by the Institute for Jewish Policy Research in association with Community Security Trust, Antisemitism In Contemporary Great Britain: A Study of Attitudes towards Jews and Israel argues that while anti-Israel attitudes are not anti-semitic as a general rule, there is a link. In extensive online and face-to-face interviews, the study questioned voters about a series of statements that are generally perceived by British Jews to be anti-semitic, as well as ones about Israel which a majority of Jews in the UK suggested in a 2012 survey by the European Union Agency for Fundamental Rights were either “probably” or “definitely anti-semitic”. “A majority of those who hold anti-Israel attitudes do not espouse any anti-semitic attitudes, but a significant minority of those who hold anti-Israel attitudes hold them alongside anti-semitic attitudes,” it suggests. While 86 per cent of those who do not hold any anti-Israel attitudes do not have anti-semitic attitudes either, among those holding a large number of anti-Israel attitudes only 26 per cent do not espouse any anti-semitic attitudes. “In sum, among those who are completely free of anti-Israel attitudes, a minority holds anti-semitic attitudes, while among those with strong anti-Israel attitudes a majority holds at least one anti-semitic attitude.” The existence of an association between the anti-semitic and anti-Israel attitudes tested, argues the report, is “unambiguous”. Indeed, the correlation it develops suggests that the stronger an individual’s anti-Israel opinions, the more likely they are to hold anti-semitic attitudes. The report compares the responses of the general population with those who hold strongly anti-Israelattitudes (defined by those endorsing a high number of anti-Israel statements put to them). It finds that while 13 per cent of the public believe that “Jews think they are better than other people”, that figure rises to 46 per cent among those with strong anti-Israel attitudes. Similarly, while 10 per cent of all Britons endorsed the notion that “Jews exploit Holocaust victimhood for their own purposes”, nearly 50 per cent of those with strong anti-Israel attitudes did. The notion that “Jews have too much power in Britain” is backed by less than 10 per cent of the general public, but by 41 per cent of those with strong anti-Israel attitudes. Even Holocaust denial appears to register more with those who are strongly anti-Israel: only six per cent of all voters agreed that the Holocaust is a myth or has been exaggerated, but nearly 30 per cent of those most opposed to Israel endorsed those statements. 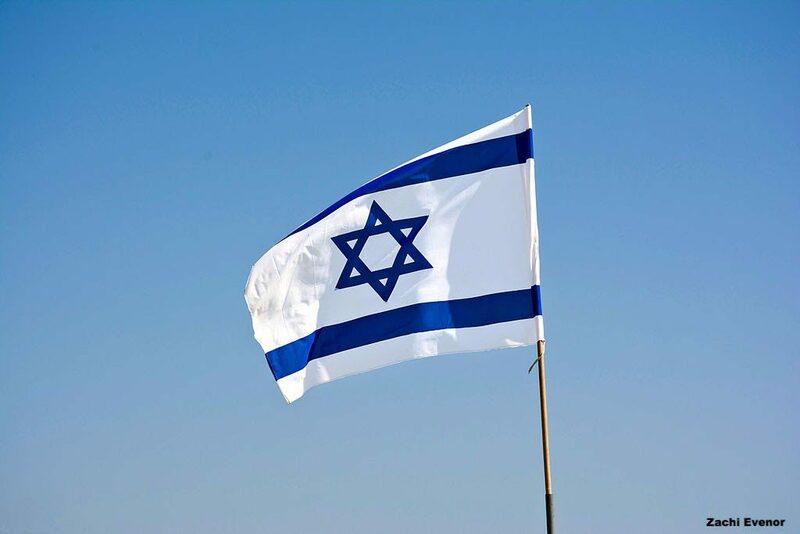 Overall, the study presented a worrying picture of voters’ attitudes towards Israel. It found that 12 per cent of Britons hold “hard-core” anti-Israel attitudes and a further 21 per cent have adopted what it termed “softer negativity towards Israel”. Fifty-six per cent of those questioned backed at least one anti-Israel statement. However, the report cautioned that “this does not mean that 56 per cent of the population of Great Britain is anti-Israel, rather it captures the diffusion of anti-Israel ideas in British society”. Nonetheless, it also suggested that, given that half of Britons hold at least one of the anti-Israelstatements tested, any feeling on the part of Jews that they are regularly “exposed to anti-Israelpositions” becomes more understandable. On the positive side, it found that 62 per cent of people agreed that Israel has every right to exist, with only six per cent explicitly disagreeing. It also found that a significant minority – 43 per cent – agree thatIsrael is the historic home of the Jewish people (a notion that only 13 per cent of Britons explicitly rejected). Backing for the BDS movement also appears limited: only nine per cent of voters suggested people should boycott Israeli goods and products, while 46 per cent disagreed. At the same time, however, between one-fifth and one-quarter endorsed statements about Israel which British Jews had labelled “probably anti-semitic” in 2012: that Israel is committing mass murder in Palestine; is deliberately seeking to wipe out the Palestinian population; and is an apartheid state. While disturbing, it is worth noting that these statements were rejected by roughly equals number of Britons and that, on each, over half were neutral. The report also found that anti-Israel attitudes are more prevalent across all sections of the left – including those who identify themselves as “slightly to the left of centre”, “fairly left-wing” and “very left-wing” – than among the general population. The most anti-Israel attitudes were found on the far-left. Seventy-eight per cent of those on the far-left endorsed at least one anti-Israel statement (as against 56 per cent of all Britons), with 23 per cent backing six to nine (in contrast to nine per cent among the general public). This comprehensive study should serve as an important wake-up call for politicians and the media to avoid at all times language and actions which breed those anti-Israel attitudes which Britain’s Jews rightly view as anti-semitic and give comfort to those who seek to demonise and delegitimise the state of Israel. ← Analysis: Can Mohammad Dahlan end the Gaza crisis?